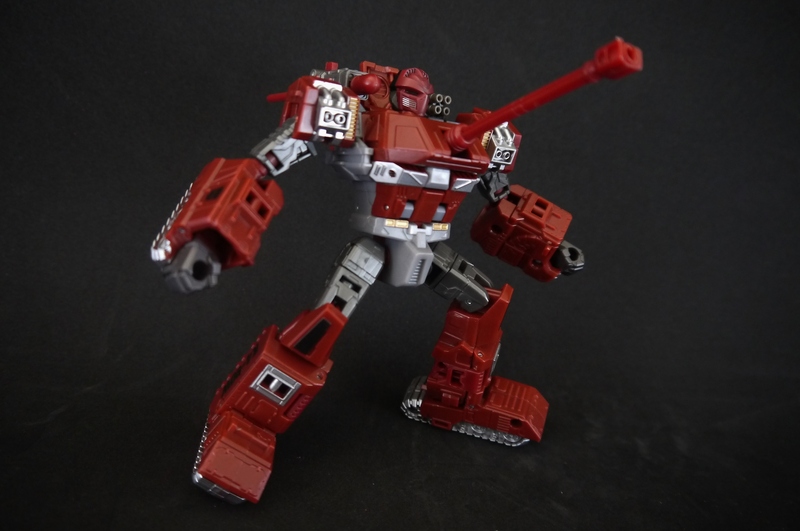 A part of the same batch in which I picked up the iGear Hench and MP-10 Optimus Prime, this Generations Warpath was quite a random little figure that happened to land in my lap. I had never taken much interest in the Generations line, but I heard a lot of the toys that came out of it were either a hit or miss. 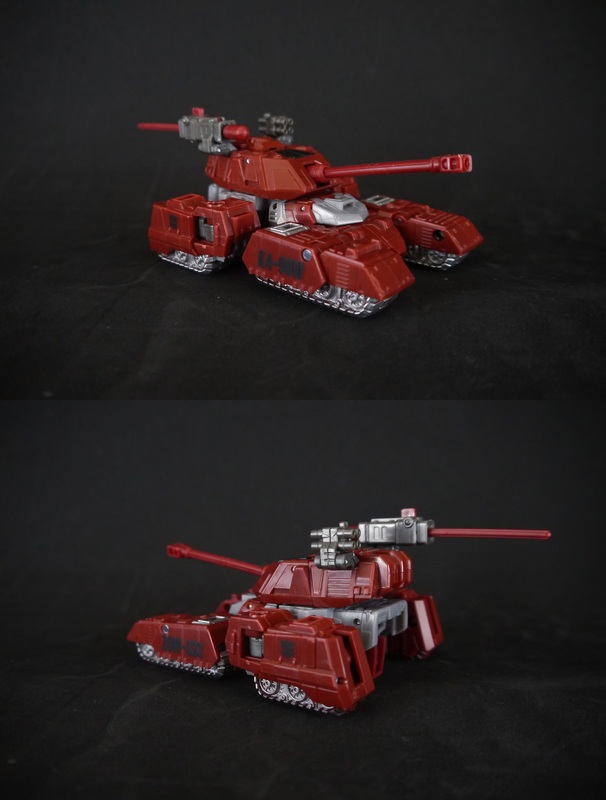 Warpath is a very simple figure – he doesn’t come with any extra accessories or anything – what you see here is the full package. Given the general lack of accessories, there’s only so much you can do with this guy. He sports pretty basic articulation – nothing fancy, but has just about all the essentials down. Paint apps are also pretty well done, I like the dark red that’s true to the original Warpath and the silver is a nice accent. I’m actually really liking the head; it’s very well detailed. 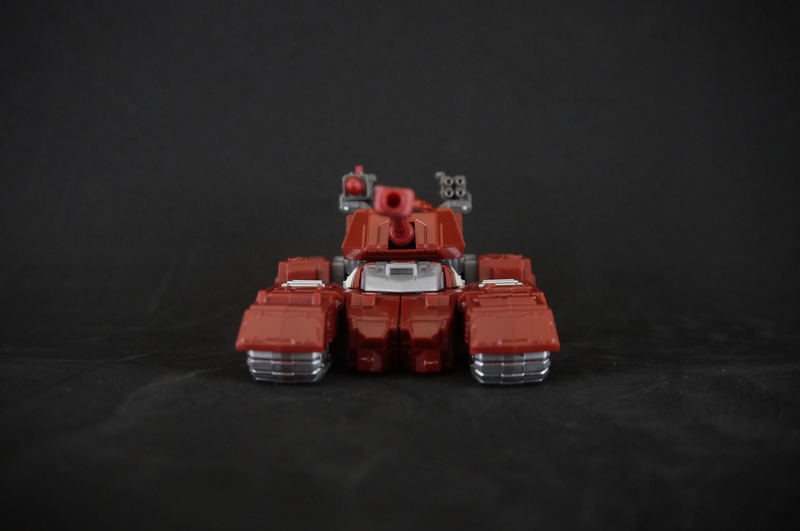 I just wish the light piping was more…efficient, but what can you do. 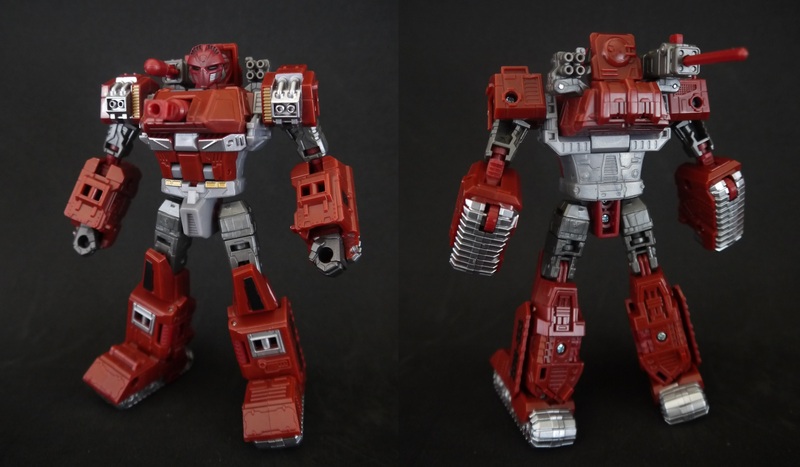 Warpath’s transformation is actually quite interesting; while I could generally figure it out without instructions, the torso folds around in all sorts of tricky ways. The little missile on the right of the tank is spring-loaded and can of course fire at the push of a button. 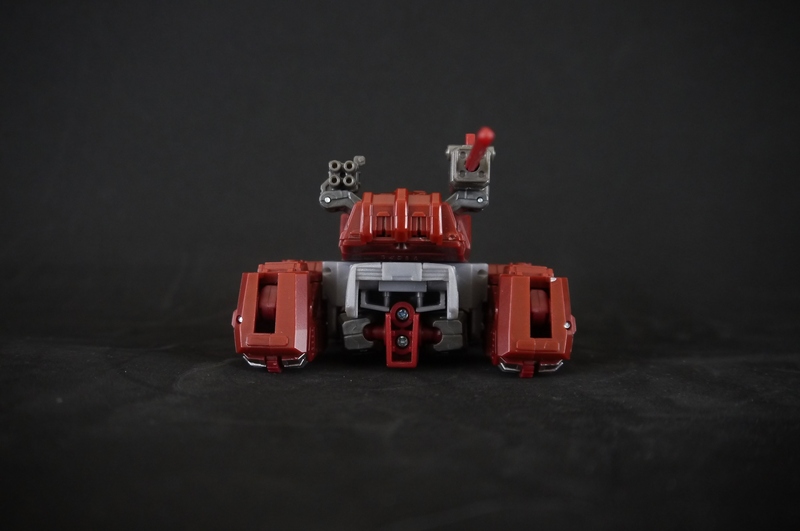 As per usual Transformer fare, the treads have little red wheels hidden in the middle to allow for some rolling. …or naw. I always love Transformers that can do this; adds a whole new flair to their character. There’s really not much to this little guy. 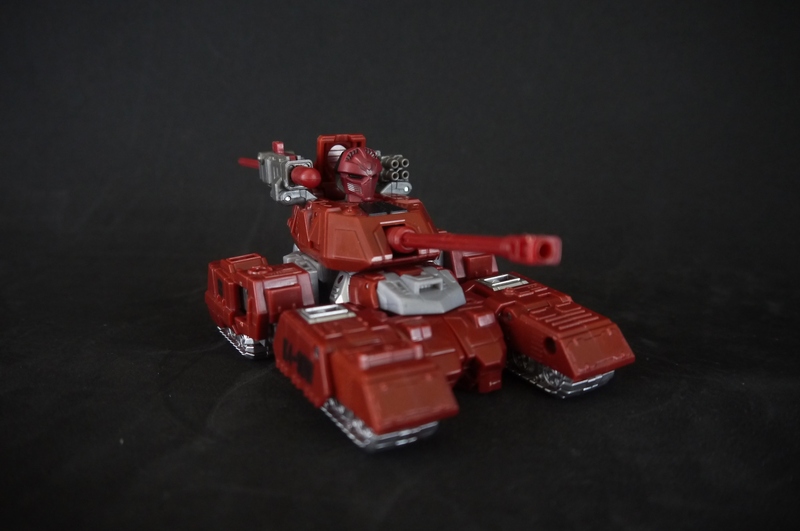 Warpath’s actually kind of boring – given his structure and lack of accessories, he doesn’t really have much play value. I find he looks best with his cannon extended in robot mode (it’s supposed to be retracted in biped form) in a firing position more than anything else. 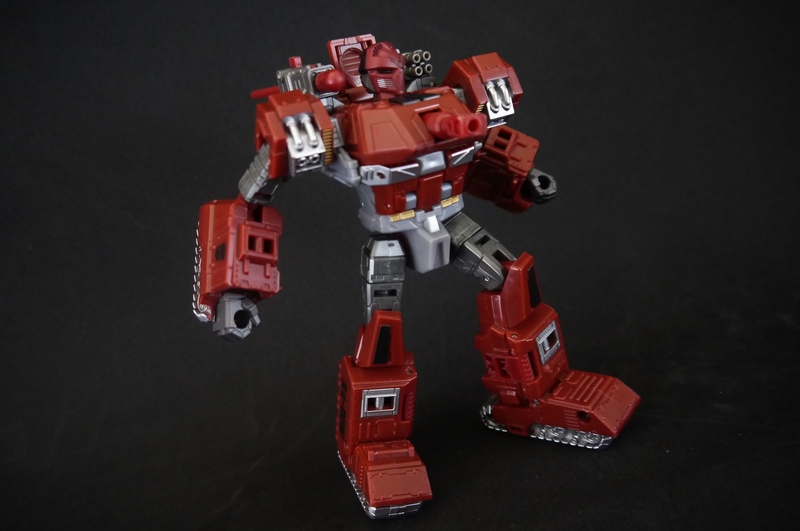 I’ll say for a G1 homage though, it works; it’s a pretty good modern take on Warpath’s original design.